Name of the college during establishment in the year 1965 was Dakshin Barasat College. The present name of the college is DHRUBA CHAND HALDER COLLEGE since 1968. In the early sixties a group of young educated people came forward and took great pain to establish the college. Dr. Dhruba Chand Halder & a widow, Srimati Baruni Devi donated generously and Mr. Nanda Kishore Ghosh, the former member of C.U. senate helped to get C.U. affiliation. 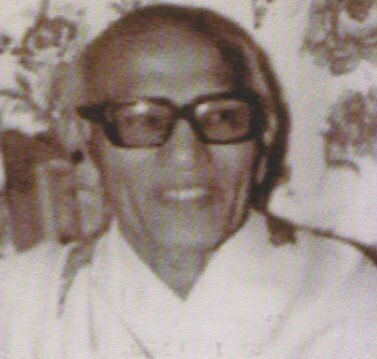 Nanda Kishore Ghosh was selected the president of the first G.B. of the college. 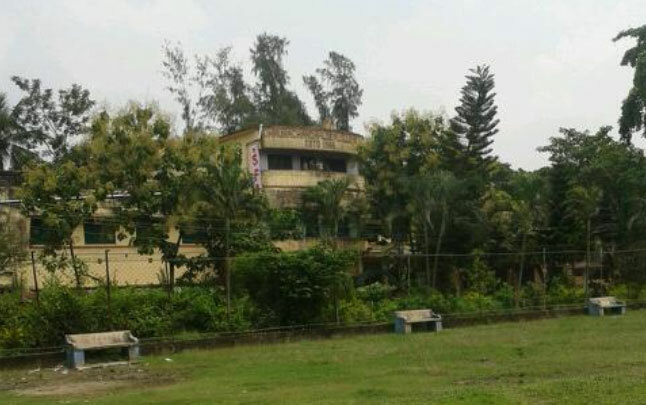 The college hostel was named "Baruni Chhatrabas". Sri Sudhanshu Sekhar Gayen, a young government employee was engaged in the development of the college. He was a member of the first G.B. and became G.B. president later. The college was affiliated to Calcutta University on 23.08.1965 with permission to hold classes in the morning at the local Dakshin Barasat Shibdas Acharya High School building till the college could construct its own building. After the construction of the western part of the present main building in 1968 the college was shifted to its present site. The life and achievement of Dr. Halder a social worker is worth to remember. Born in 1898 at village Srikrishnanagar, 4 km from the Gocharan railway station in a family of landed gentry, he passed matriculation in 1924 and entered the National Medical School. To serve the people by way of medical treatment, he opened a dispensary at Harrison road (now M.G. road) in a rented house. Patients from his village and the nearby villages crowded his dispensary. Students from South 24 Pargana villages also prayed for shelter and help from him. He had a plan to establish a nursing home and a hostel for poor students. He was a dedicated Congress worker, a bachelor, devoted himself to disseminate higher education among the backward people of South Bengal. He used his savings to establish a college near his home. 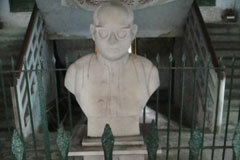 Dr. Halder died in 1968. In accordance with his will, all his property was sold and the accrued money deposited as donation to the college fund. After his death, the Dakshin Barasat College was renamed "Dhruba Chand Halder College" in recognition of his contribution. The founder Principal of Dhrubachand Halder College dreamt of a General degree College that excels in omparting true education to the students for their all round development. With a group of 120 students, he made the humble beginning. His ambition was fulfilled during his tenure, with his ingenious effort, sincere attention and heartful devotion to the college. His absence is an irrepairable loss for this college and also for the society at large.